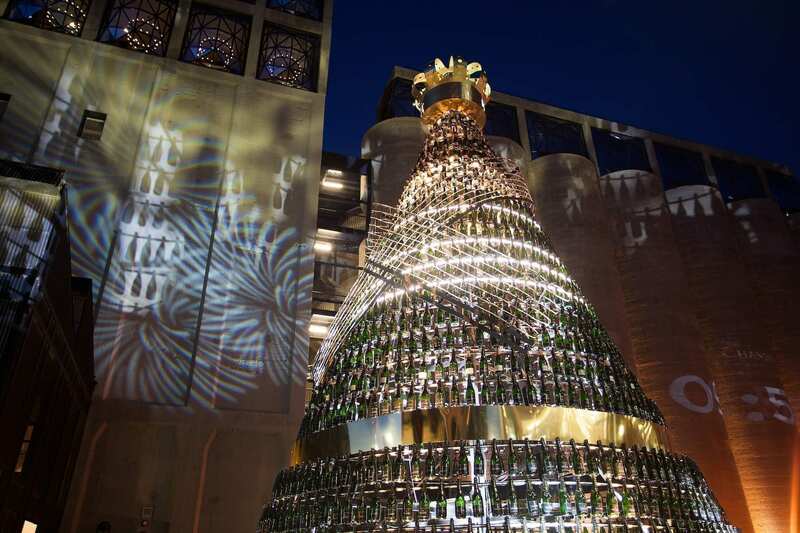 Moët & Chandon’s Golden Tree Lighting Ceremony at V&A's Silo District | Eat. Play. Drink. Cape Town. 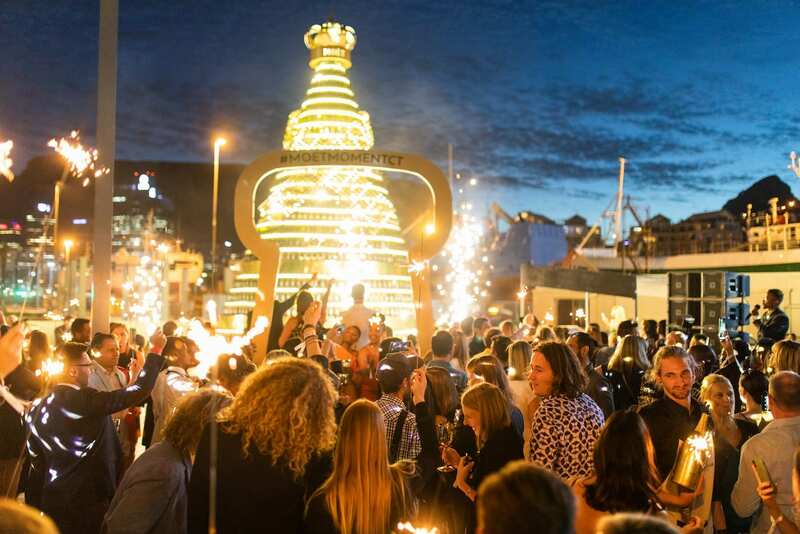 Capetonians and visitors are invited to open the festive season at this year’s Moët & Chandon Golden Tree Lighting Ceremony taking place at 7pm on Thursday, November 29 at Silo 7, adjacent to the Radisson Red at the V&A Waterfront Silo District. The evening will include performances by the acclaimed South African Youth Choir and the Cape Town City Ballet and is open to the public at no cost. 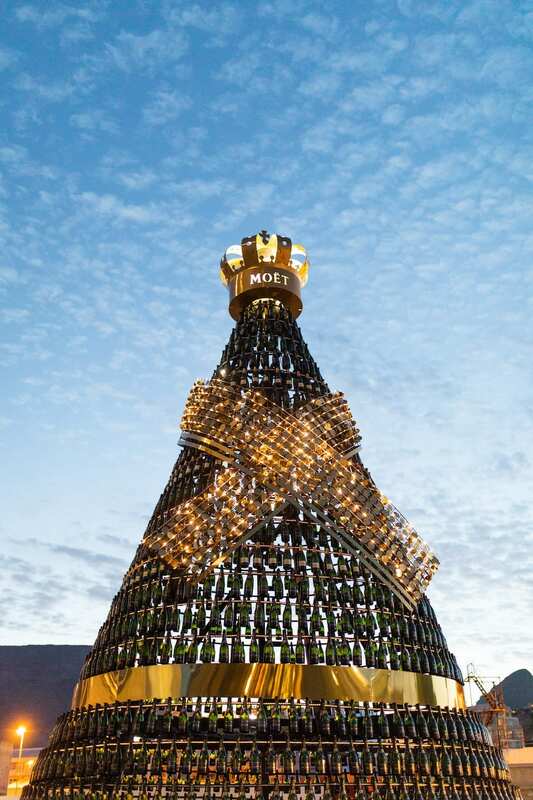 Sitting at an impressive four-storeys high and built with more than 1800 recycled champagne bottles collected from all over South Africa, the Moët & Chandon Golden Tree is wrapped in a shimmering gold ribbon created using over 2000 discs. Once the sun sets, visitors can look forward to an impressive lighting display, with the 230 metres of LED lights individually programmed to illuminate in sync with themed festive music that most attendees will most definitely recognise. With shops open until 8pm, visitors are also invited to indulge in some late-night Christmas shopping on the 29th, as well as delicious Moët & Chandon festive specials at participating restaurants in the Silo District. The Moët Golden Tree will be in the Silo District until Sunday, January 6. VIP tickets: Are available for R395. Available directly from the Radisson Red, tickets include access to the VIP area around the tree and a mini Moët bottle presented from the mini Moët Serving Machine.